It’s a strange thought to entertain, but it seems like it’s getting harder to find restaurants headed by career chefs these days. There’s a fair share of guys who have been it forever, running restaurants the same decade; but there’s also an ever-increasing number of lawyer/banker/etcetera-turned chefs — guys who have perhaps staged all over the country or world, who have pursued their dreams (sadly, sometimes delusions) of successfully running their own restaurants. Not all of these are bad, in fact, some of them are very good. But for every good one, there are perhaps about a dozen others that go in with a grand vision, but fail terribly on execution. So it’s refreshing to find a place like Mythz and Myths. It’s a somewhat bewildering mouthful, and you’ll struggle to remember if “Mythz” or “Myths” comes first, but there are plenty of good ideas, and earnest, solid cooking at its core. Heading the kitchen is chef Martin Wong, whose pedigree includes being part of the opening team of Resorts World Sentosa’s Joel Robuchon Restaurant, heading the kitchen at Tess Bar and Kitchen, and a brief stint at Restaurant Frantzen in Stockholm. 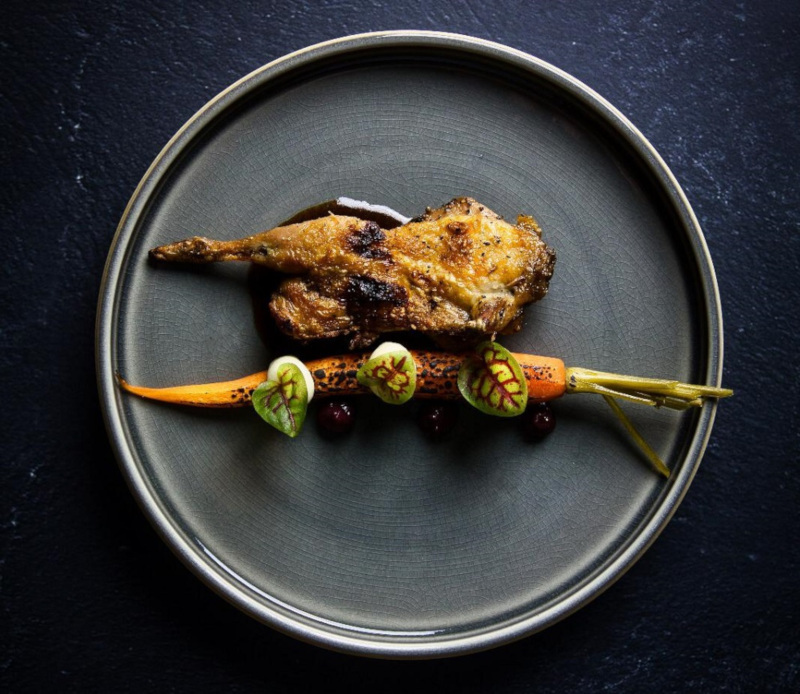 While Wong was lauded for unfussy, well-executed dishes at Tess, it’s his time at the lattermost that undoubtedly sparked a desire for something more conceptual, and — if we dare say — highbrow. Wong’s been cooking for over two decades, and it shows. He works with his team with a quiet confidence, and has a deft hand for seasoning — two abilities that are hard to nurture if one is just staging in a different restaurant every six months, even if it’s in all the greatest restaurants in the world. At Mythz and Myths, the food is labelled as French-Nordic-Asian, a rare and somewhat ambitious combination given that all three can have vastly different profiles. Wong often makes it work though: not every plate combines all three elements, and courses do vary between between the sort of classic, height-is-good, freeform sauce painting of nouvelle cuisine; and the more contemporary, tightly-plated dishes with a disposition towards various powders and infused oils. 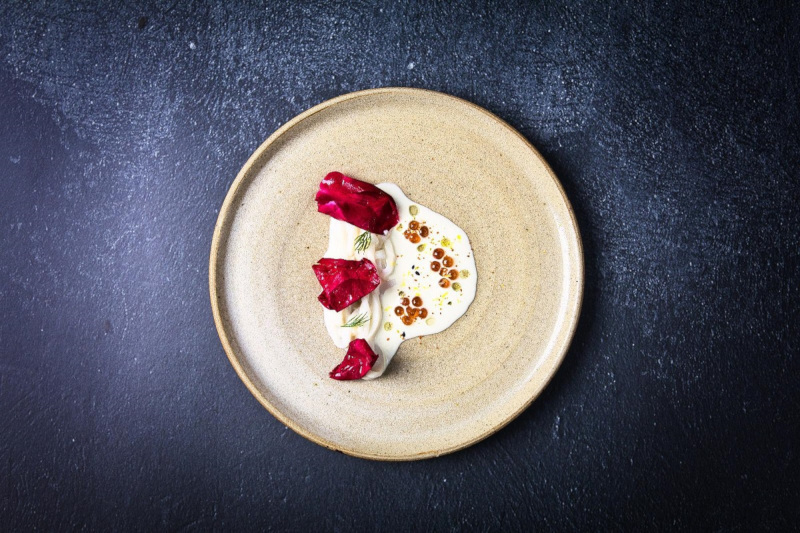 One should note too, that Wong isn’t doing Nordic in the strictest philosophical sense with its hyperlocal ethos and use of esoteric, foraged ingredients; but the application of plenty of fermented produce, a focus on seafood, and liberal use of acidity. 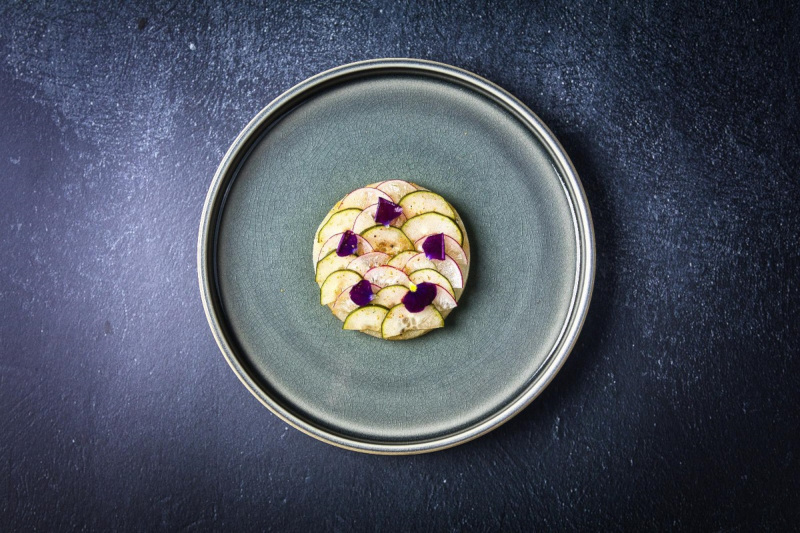 There is a disc of kohlrabi, braised in a vegetable stock and topped with scales of pickled red radish and cucumber. This gets a sprinkling of spiced “umami powder” that takes the acidic crunch of the vegetables back down a notch. While there are clear crowd pleasers, like roasted bone marrow perched on crispy, layered filo pastry; and a multi-textured chocolate-earl grey dessert, it’s the more left-field dishes that hint at the potential of future menus. An example might be squid, coupled with grilled cream, preserved rose petals, and coriander and physalis oil. 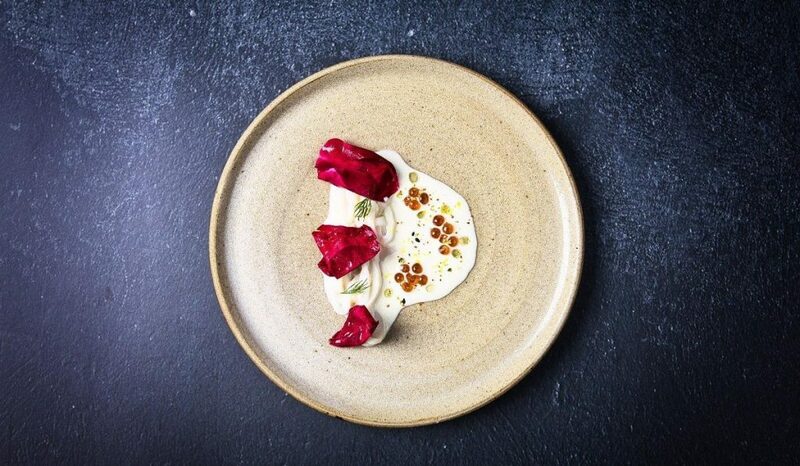 Squid and roses might sound like the subject of surrealist poetry, but subtly seasoned, the cream plays up the sweetness of the seafood (which admittedly could have a better texture), while being punctuated by the slightly tannic, perfume-ey rose and briny bursts of ikura. There are also plenty of unmentioned details that validate some of the dishes. 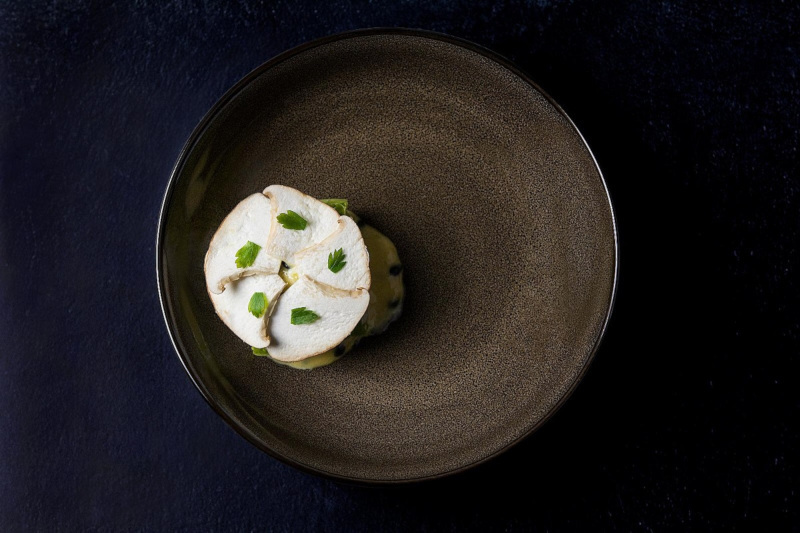 Clam is used in the dashi for their chawanmushi, giving the incredibly smooth egg custard an almost meaty quality; while quail, hung and aged a week, is finished yakitori-style to lend it smoky, crisp skin. While he might seem reticent, it’s clear that Wong is ambitious, with a 13-course menu in the works (the current menu is already quite hefty at 8, with a few “surprises” thrown in); and a vision for pushing the envelope with even more esoteric ingredients. It’s an uphill journey, and Wong even sounds a bit wistful when he shares how some of the most forward-thinking restaurants overseas have whole, separate kitchens and teams just for R&D — although we can’t wait to see what’s at the top of that hill.